Cassette tapes and CDs have evolved into digital music on iTunes and Spotify. And household telephones are being slowly weeded out by iPhones and Androids. So why shouldn’t our TV move with the times too? With on-demand streaming websites like Netflix and Amazon Prime Instant Video, many of us are throwing our TV remotes to one side and turning to our keyboards instead. But what makes online TV better than the good old Samsung flat screen? 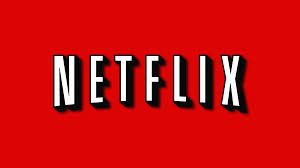 Plans from Netflix start from only £5.99 a month, including a one month free trial. With thousands of sitcom episodes and films to choose from, you’re definitely squeezing every single penny out of that (almost) six quid a month. We also have access to streaming sites including 4od and BBC iPlayer who offer online content absolutely free! With a wide variety of old and new on 4od, you can catch up the latest episode of Made in Chelsea that you missed last night or you can have a good old helping of fond nostalgia with old favourites like that Christmas special of Father Ted that you haven’t seen since 2003. Unlike Sky and other TV packages, there is no contract or cancellation fee with most online streaming sites. You can simply sign up, watch what you like and leave whenever you want in just a few clicks. As well as countless classic movies and TV shows like Saving Private Ryan, The Shawshank Redemption, Breaking Bad and Sons of Anarchy, Netflix also offer a selection of their own original content. With series like Daredevil, Better Call Saul and the smash hit Orange is the New Black all being Netflix babies, the sites original shows are arguably worth the monthly fee in their own right. You don’t need to worry about leaving your TV set on during the night to record that Area 51 documentary that’s being shown at stupid o’clock in the morning or having the agonising decision of choosing between The Big Bang Theory and Keeping Up with the Kardashians when your recordings clash. With online streaming, all your content is there and waiting to be viewed anytime, anywhere.